It's cold out there. Come have a beer by the fireplace. The weather outside is frightful ... you know the rest. Patio weather is months away, and the recent snowstorms have us itching for a delightful fire to warm up beside. When central heat just won't suffice and you're looking for a cozy atmosphere in which to enjoy a drink or a meal, check out these 10 restaurants and bars that feature a working fireplace. This German-style restaurant and beer hall features European architectural pieces that co-owner James Weimann says gives it "a timeless feel." In addition to four expansive chandeliers from Austria, the restaurant boasts a mahogany fireplace on each floor. Along with the beer list, you can enjoy house-made sausages and pretzels dipped in Tillamook cheddar fondue. The outdoor area of this artsy restaurant and bar has fire pits, trees, and a flowing creek, so you can enjoy the outdoors even in the cold weather. There are plenty of local craft beers on tap, along with specialty cocktails, and the menu includes cast iron skillet pies and charred marshmallow s'mores to complete the fireside feel. 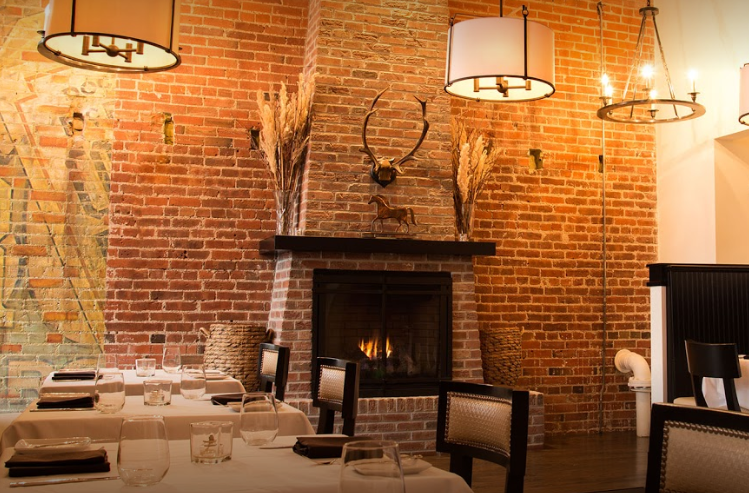 Whether you're chowing down on a Colorado pork chop in the dining area or sipping a classic cocktail in the bar area, you can bask in the flames of the double-facing fireplace at Colt & Gray. With four indoor and four outdoor fireplaces, this old western restaurant will keep you cozy year-round. “The indoor fireplaces are built in a 19th century Southwestern style — beehive fireplaces that burn real pine wood,” said Holly Arnold Kinney, proprietor of The Fort. On milder winter nights, you can also enjoy the great views beside the outdoor fireplaces. The fireplace is central to the atmosphere at this Italian eatery. “We wanted the restaurant to feel like a home and feel comfortable, like walking into your living room," said general manager Justin Williams. Plus, there are plenty of drink and snack specials available during happy hour each day. Located in a historical building in Highlands Square, this Tex-Mex eatery has over 100 tequilas. And if that's not enough to persuade you, consider taking in the gorgeous views from the floor-to-ceiling windows while you cozy up next to the rustic indoor fireplace. There are also twice-daily happy hours and plenty of food to snack on, from fried calamari to stuffed jalapenos. This Mexican restaurant mixes mezcals and tequila in Latin American-inspired cocktails and features live music Thursday through Sunday. 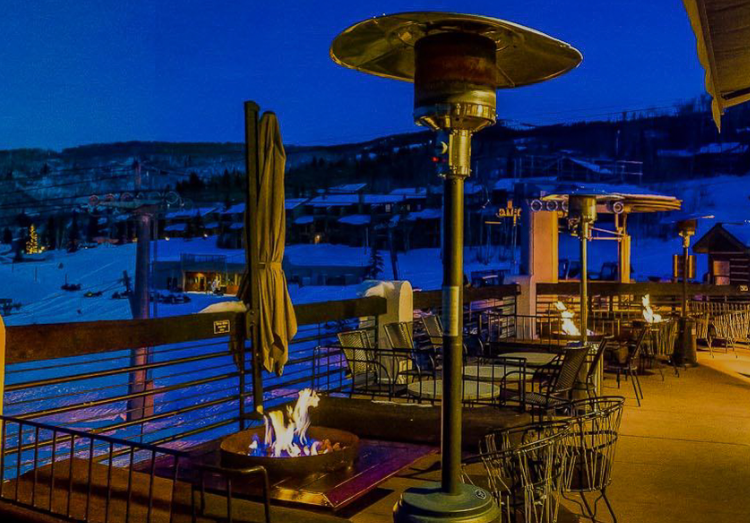 You can grab a s'mores kit and sit on the outdoor patio, where the fire pit will keep you warm while you admire the mountain views. Sit on large rocks reminiscent of the nearby amphitheater in the giant outdoor patio, which boasts a fire pit. As the name suggests, there are plenty of tacos on the menu, and you can also enjoy flights of chips and salsa or Mexican hot chocolate. If you need a romantic place to enjoy upscale, seasonal Italian food paired with wine, Barolo Grill fits the bill. Despite the luxury atmosphere, the fireplace keeps this Italian joint as cozy as your living room. 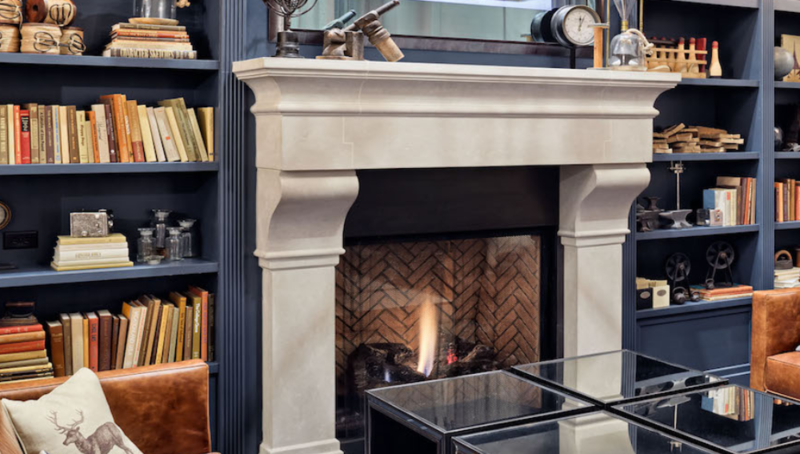 This gorgeous lounge is covered in bookshelves, filled with cozy couches and designer touches, and of course, features a fireplace. Come for breakfast or lunch and stay for a beer. Where are your favorite places to lounge fireside? Let us know in the comments. Go on the ultimate Colorado movie location road trip!